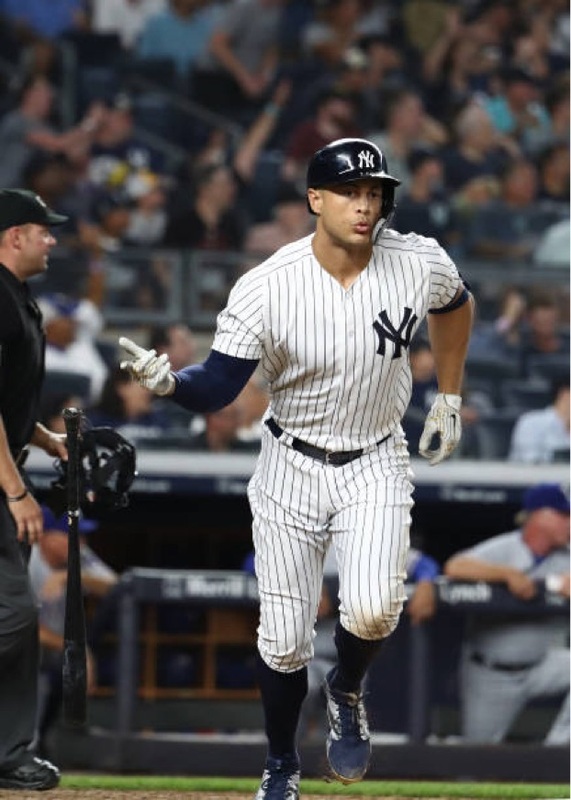 Fresh off a series sweep in Chicago earlier this week, the Yankees returned home to kick off a crucial 11 game homestand. The Rangers came into this game averaging seven runs per game since the All-Star Break, the best in all of baseball. J.A. Happ made his first start since coming back from the now infamous Hand, Foot & Mouth Disease. It would be Happ’s night as he had the upper hand in this matchup. 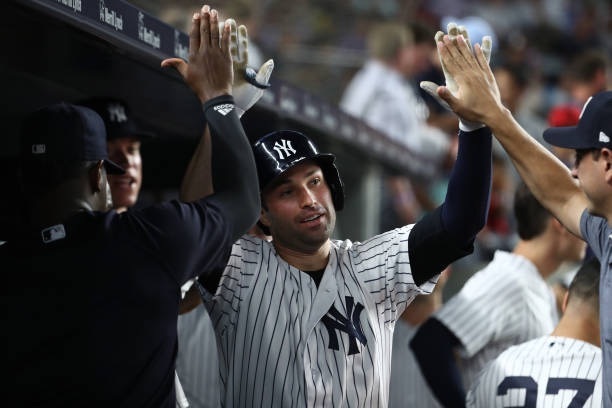 The Yankees got six strong from Happ and five long balls from the offense en route to a 7-3 victory. After hitting Shin-Soo-Choo to start the game, he would strike out the next three batters to set the tone early on. 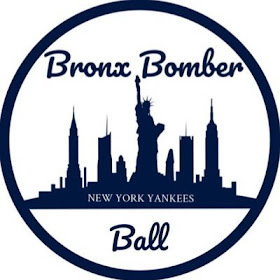 The Bronx Bombers would continue their hot hitting as of late, with one of their hottest hitters, Aaron Hicks, delivering a first inning two-run HR to make it 2-0 Bombers. Happ wouldn’t allow a hit until the fourth inning with two outs. Unfortunately, that hit was a solo HR by Jurickson Profar. In the bottom half, after Greg Bird drew a walk, Miguel Andujar would hit a two-run HR of his own - his 16th of the season - to make it 4-1. Neil Walker would go back to back with Miggy to extend the lead to 5-1. Happ’s first real test came in the fifth inning. After allowing the first two runners to reach, Shin-Soo-Choo would get his revenge (HBP in his first two AB), with a two-run double to narrow the lead by two. The Yanks would answer right back, however. How quick? 121.7 MPH, the hardest exit velocity of the season off the bat of Giancarlo Stanton, his 28th HR of the year, and third straight game with a HR. Happ would finish his night in the sixth, putting icing on his cake of a night, with two more strikeouts to finish with an impressive stat line of nine Ks, one BB, three ERs, and four Hs. Walker would add cushion to the Yankees lead with his second solo HR of the night, this time from the right side. 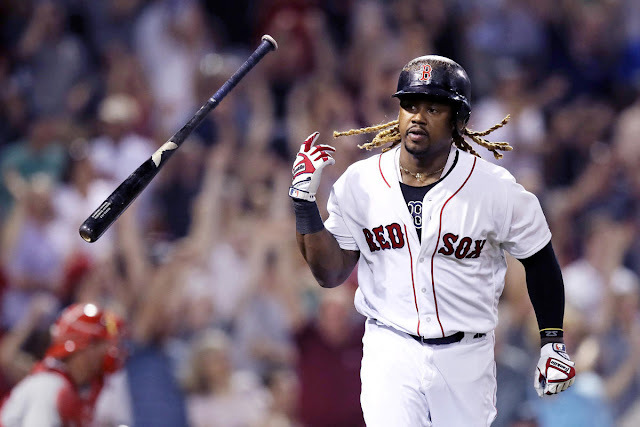 This was the first time in his career that he homered from each side of the plate. 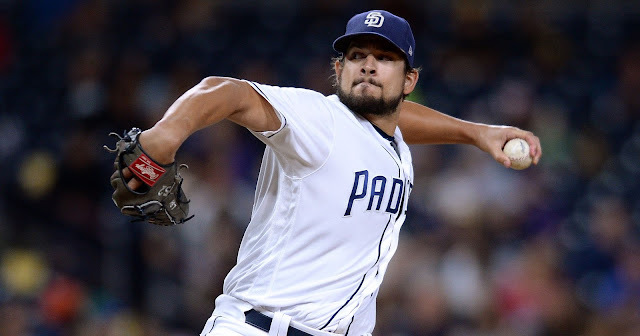 Robertson, Betances, and Chapman (a bit of a struggle, due to lack of work) would lock it down for their fourth win in a row, to improve to 72-42. This is the first time since 1908 that Yankees starters have had at least eight strikeouts in five straight games (Tanaka 9, Lynn 12, Sevy 8, Happ 9), and only the ninth time it has occurred in all of MLB in this time span. With Walker’s second HR of the game, this is the 20th multi-home run game by a Yankees player this season. 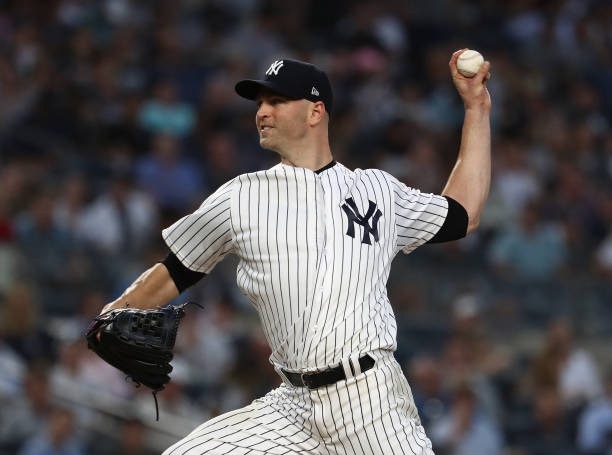 The Yankees and Rangers will continue their four-game set tomorrow night as Tanaka looks to continue his post All Star success against Mike Minor.